5 Reasons to Attend a Conference. The thought of attending a conference on my own makes me shudder with fear. My husband can step into a room of unknown people and before you know it he has made friends with at least a dozen of them. I'm the complete opposite. Born in July, I am a typical crab. I like to hide in my shell. build up my walls and observe while everyone else around me talks. In social situations where I know all the people that are invited I'm fine, but put me in a situation where I am out there on my own I suddenly dry up. I can't find anything to talk about, and certainly can't begin to think about joining a group where they all seem to know each other and I am the odd one out. Sound familiar? So why would you put yourself in this situation and attend a conference of like-minded people? In the past two months I have done just that. The first was a writer's workshop in the beautiful Araluen Valley with the amazing Jackie French. The second was the Creative Kids Tales Writer's Festival in "The Shire." The place I grew up and called home for my younger years. I learnt a lot from these events and I am so pleased I put myself out there on a limb, took a chance and dove into the experience. Here are my top 5 reasons you should consider attending a conference in your field no matter how introverted you are. This could be one of the hardest for me. Online, I have no problem connecting with other authors. In person, this is a lot harder. While at the festival I had hoped to introduce myself to other authors that had also been involved in the Creative Kids Tales Story Collection. I don't think I managed to speak to one of them, until perhaps the end of the day when this photo was taken. I did connect with other authors and illustrators that were new to this publishing journey and I hope I was able to help them with a little insight of my journey so far. It was a few small steps, but at least I have now met a few more like-minded people to continue along the road with. I encourage you to do this too. You are never alone, there are always other people in your field willing to share their experiences and wisdom. Do your research, read a lot, rethink your work, rewrite, make it relatable. Don't be afraid to write about hard topics, but soften it with highs and lows. Add laughter as well as tears and always finish with a happy ending. Start with what you know, then lie. In other words, be creative, stretch the the truth, add a twist and see where it leads. Build on what you know to find an original story. When marketing think outside the square, be unique, different but always be true to yourself. Write the story that only you can tell. Look at it from different angles, make it topical, be brave, bold and write from the heart. As a member of Creative Kids Tales we had the bonus of being offered a one on one manuscript assessment by either Clare Hallifax, Sue Whiting, Sarah Davis or Susanne Gervay. This was an opportunity not to be missed. Sure, you can pay for a manuscript assessment without attending a conference. You can email your manuscript off into the ether to someone and wait for a written response, but to meet and personally speak to the assessor makes the experience all the more personal and worthwhile. I truly appreciate all the advice Sue Whiting gave me for my junior chapter book. It has been a work in progress for many years. After speaking with her and listening to all her valuable advice I now feel I am on track to finally complete the story and begin the submission process with more confidence. Sue was able to guide me in the right direction where I could see I wasn't quite right but wasn't sure how to fix it. Like anything, writing takes practice and is a constant learning curve. No matter how much you read or study, there is always something someone can teach you. Conferences always supply goodie bags and the Creative Kids Tales Writer's Festival was no exception. There were two bags on offer, one for members and one for non-members. Inside among all the pamphlets and wonderful information were also a couple of books to add to your resource library. Inside my bag was the fabulous picture book 'I'm Australian Too,'by Mem Fox, (which is among the Children's Book Council of Australia's short listed books of 2018), and a YA novel 'The Things We Promise' by J. C. Burke. I also managed to buy for myself copies of Georgie Donaghey's PB 'Clover's Big Idea.' Can't wait to start reading that to my 3 month old grandson. Susanne Gervay's JF, 'Super Jack' and Sue Whiting's MG 'Missing." I have already finished reading 'Missing,' it was certainly an 'unputdownable' irresistible story. You never know what fantastic things you might come home with. It goes without saying, I wore my CKT badge with pride on the day and hope to find other occasions to wear it too. As I said at the beginning I am by nature a rather introverted person. I overcame this to an extent as a teacher. Put me in front of a group of kids and I can read, teach, perform for hours, but put me in front of a room full of adults and I freeze. So the decision to enter the draw to 'Pitch Ya Book' was a biggie! While introducing myself to people at an event is difficult, this was even harder.The idea was to prepare a picture book pitch, place your name in the box on entry to the festival and hope to have your name drawn out. When the time came for the pitches, I actually sat there hoping my name would not be called out. My self doubt had overwhelmed me. Sure enough my biggest fear eventuated. Before I knew it I heard Georgie call my name. It felt surreal as I rose and walked to the front to take the microphone. My mouth dried up, I felt myself begin to shake as my face flushed. I opened my mouth and began to stammer. Before I knew it my two minutes to explain my latest Australian animal picture book were up and it was all over. I was left to hear the response from the panel. They gave some fantastic feedback and brilliant advice to take home to help with my edits. I always felt the story needed a different ending. I now have a new antagonist, Mr Fox is no longer. I have heard before, 'Don't be afraid to kill your darlings.' The panel advised that a fox as an antagonist was too predictable. Foxes have been hard done by in children's stories, perhaps it would be better to find another option, preferably another Australian animal. Enter a Tasmanian Devil who brings a different slant to the story that is all the more stronger and improved. Armed with Tassie as my new baddie, my new ending became obvious to me, the story practically wrote itself. Challenging myself to attend a conference on my own proved far more worthwhile than I could ever have hoped. Who knows, I might even try to do it again one day. So there you have it. This little crab is proud to say she has poked her head out of her shell, challenged herself and taken steps to move forward. 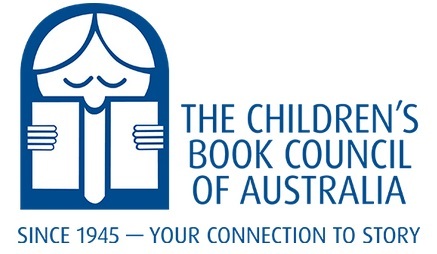 Next Thursday night I will be attending the SCBWI ACT meeting here in Canberra. Who knows, I may even raise my hand to ask a question...but don't count on it! Do you attend conferences? How do you feel about them? This is the season when memories are made and family is celebrated in unique, joyous ways. Whether your traditions are Christmas based or not, it's still a time to came together and share special moments together. What traditions make your holiday? Do you whip up a special recipe that Grandma taught you long ago? While you ponder some of your fond memories please join me and my #Gr8Blog colleagues as we share a few of our Holiday Traditions That Ring In Our Season. When I was little we had a huge Pine Tree at the bottom of our backyard. Well, it seemed huge to me at the time. I always knew Christmas was almost here when Dad went down to select a branch to be cut and made into our Christmas tree. He would plant the branch in a bucket of sand. (We collected the sand from the sandhills at Cronulla each year). That in itself was a fun day out as Summer was upon us and we could slide and roll down the sandhills for hours. Mum would then wrap the bucket in Christmas paper and the tree would stand tall in the corner of our lounge room where we would decorate it with shiny ornaments and tinsel. The angel was always last to be added, her special place was on the top of the tree, she was the finishing touch. The scent of the pine needles permeating the house combined with the build up of Summer heat made it feel like Christmas was here. When I was young, Christmas dinner was not complete without a traditional Christmas pudding. My Aunt continued the old tradition of hiding a handful of threepence in the steaming hot fruit pudding and covered it with a delicious port wine sauce. Once decimal currency arrived, she converted the coins to 5 cent pieces. My fondest memories are sitting around my Aunt's dining table being surprised by my father and grandfather as they each in turn pulled out larger coins from their serving of pudding. My sister and I would increase in jealousy and eat more of our pudding in hope of more money. Alas we were to only ever find 5 cent pieces in our serving. It wasn't until the stakes rose so high that Dad and my granddad began to raise one and two dollar notes above the table that we realised they were joking. As I grew older, it wasn't the gathering of coins that made me eat Christmas pudding, but my Aunt's famous port wine sauce. We couldn't get enough of it. She always promised to write the recipe down "one day." Unfortunately "one day" never came, and try as she might, my mum never did quite manage to replicate it. While we are surrounded by trees since we live on a property instead of suburbia, we haven't planted any pine trees because they are not native to Australia and the native wildlife won't nest in them. As a result, I don't have access to our old tradition. I could use a branch from a gum tree and have the scent of Eucalypt through the house, but I prefer my imitation tree that I can use time and time again without cutting anything down. It goes up on the 1st of December each year and sits in my bay window for all to see. Naturally, my angel sits atop my tree just like my childhood memory. Ornamental reindeer adorn every nook and cranny possible around my house, it's a bit of a joke between hubby and myself, they serve as a reminder to him to look before you throw things away. I guess you could say he learnt the hard way. Accidentally throw out one favourite reindeer, find a dozen more every year since. They just keep multiplying! When my eldest son was old enough to start cooking, he began making a Gingerbread House for Christmas. Later, my nephew took over the task, then it was his brother's turn. Each year we look forward to seeing the latest creation and delight in cutting into the house and tasting the delicious treat. Of course Gingerbread Men are traditional favourites this time of year too. When our boys were younger they enjoyed a gingerbread man or two. This lead to my idea for my early reader series starring Gingerbread Aliens, after all, most boys like gingerbread and aliens, put them together and you have a recipe for a great story. Over the years I have made many batches of Gingerbread Aliens to the delight of lots of children. In the story the kids use sultanas and honey spread across the top of the head to represent brains, they cut up green jubes for eyes and roll up orange jelly snakes and stick them on the middle for the gingerbread aliens insides. Kids love it when the intestines melt and go all gooey! Disgusting! Sometimes I make life easier for myself and decorate the gingerbread aliens with green icing. Either way they look cool, are lots of fun and taste yum! Use an electric mixer to beat the butter, sugar and golden syrup together in a large bowl until creamy. Add the flour, ginger, cinnamon and cloves and stir with a wooden spoon until combined. Use your hand to knead until smooth. Cover and rest in refrigerator for about 15 minutes. Roll one portion out on a lightly floured surface to about a 4-5 mm thickness. Use a 12cm gingerbread man pastry cutter to cut out shapes. Reshape head by pushing in the sides to elongate and make more triangular. Alternatively for those more creative, do not use cutter, use a blunt knife to shape by cutting freehand. As soon as gingerbread aliens come out of oven, decorate with sultanas and honey mixed together, snakes and lollies for eyes. Aliens need to be hot for lollies to stick while cooling. Repeat with remaining dough, rolling and re-rolling gingerbread. *I used Gluten Free flour and it worked just as well as ordinary flour. Snakes were also gluten free. You can also buy fruit salad gluten free lollies to use for the eyes. If you've not read the story or shared it with a loved 4-10 year old child yet, I guarantee they will laugh from the beginning to the end. It is a great Christmas gift. Why not read the story and and make a batch of gingerbread aliens today! Find out exactly what becomes of the disaster in the kitchen when the boys mix up the recipe? Available in print here on my website or in ebook via Amazon. What sort of Gingerbread man could you create? Let your imagination play. Make one and send me a photo. I'll add it to my list. Thanks for stopping by! What’s your most-treasured holiday tradition? Please share in the comment section. For more traditions to ring in your holiday season, find inspiration in the #Gr8blogs below. If want to tag onto this hop, add the family-friendly link to your blog in the comment section. We’ll visit and give you some blog love!